How do we go about finding the PR Marketing Specialist who fits? I’ve done a lot of listening to successful authors, writing conference speakers, and the publishing consultants who’ve supported me. Here are criteria I’ve developed. GET REFERRALS from authors you know. Every well-known author I’ve approached at conferences is happy to give me the name and contact information of their marketing assistant. However, if talking with other authors makes you nervous, you can always contact them through their websites. Talk with Literary Agents. These folks have a list of book campaign specialists that they rely on and most of the time they will share a name or two with you. Research! A quick Google search using keywords such as book marketing strategies will lead you to multiple resources. I know that you’re already doing hours of research on the writing project you’re working on—so—pick a day of the month to look up and read one or two of these resources. Then, create your own computer file of the ideas you find most interesting. Yes, these ideas are things you could do on your own, but in reality do you have the time? This file will be a great help when you listen to the ideas of the prospective marketing partners you’ll be talking with. LISTEN to your own publishing consultants. Whether your book is published through a traditional house or you’ve self-published you’ll work with people whose focus is to present you and your book in “bright lights.” They become successful only when their authors do well so it is in their best interest to match you with an excellent Marketing Specialist. Your book isn’t just a product, as neat and simple as that might seem to make things when it comes to marketing; it’s much, much more. It is, in every way and shape and form, an investment. you will continue to invest valuable time, energy, and other resources in marketing it. More importantly, however, you should constantly monitor how you are spending these resources in respect to spreading the word and promoting it to fans and followers and readers alike. In a impossibly cool and detached financial sense, you need to know when you’re spending more on your book than you should be––and then be prepared to take action. (Though, let’s face it, who of us is ever cool and detached about our precious offspring of the imagination? Not I.) The Return on Investment (ROI) of your book should always reflect a balanced approach and a sustainable increase of returns. So, what happens when your investment isn’t paying off? First off, I’d like to remind you that no matter what profit you make off of your book in financial terms, it’s an absolutely fantastic thing that you’ve done! You’ve written a book! You’ve published it! You’ve sent it out into the world for others to be changed by! There’s nothing wrong with asking for help. I wish I had known this sooner––I wish I’d felt convicted of the truth of this sooner. I’ll be the first to admit that one of the greatest appeals to me of self-publishing is that it provides a platform to and a haven for the fierce individualist, exactly the sort of person to incur the wrath of Traditional Publishing for wanting too much artistic control, among other things. But the truth of the matter is that self-publishing is for everyone, including the insecure first-time author, including the burnt-out and disillusioned veteran author, including the technologically-challenged author, including the risk-averse author, including authors who find themselves at the end of the rope and in desperate need of assistance. The indie community isn’t just a community of self-assured and confident entrepreneurs; we’re far more diverse than that. And the indie community is a remarkably non-judgmental, unsnobby collection of people, in possession of vast and varied resources and an overwhelmingly supportive, generous spirit. I promise you, if you hop on to a forum or listserv or social media group dedicated to indie authors and pose a question, you will be inundated with advice and shared resources. Of course, sometimes what you really need is targeted advice. If you have been posting promotional material to a blog or social media platform for a long time with very little engagement, or if you’ve been spending hours upon hours obsessing over marketing only to sell very few books, it’s time you sought professional advice. But where to begin? Even just a quick Google search for “Consultant for self-publishing a book” turns up “About 7,330,000 results,” which says a lot about the growth in this sector of the publishing industry––even once Google’s many duplicates, oblique references, outdated listings, and other “wrong” search results are set aside. Seven million results! There are a lot of marketing consultation websites out there geared toward you, the self-publishing author, ranging from freelance consultants (including many who’ve transitioned from being publishing consultants within Traditional Publishing) to personal marketing assistants with hybrid/self-publishing companies. Freelance consultants can be excellent, but it’s difficult to know which ones have the know-how you need. The benefit of going through a hybrid/self-publishing company is that every consultant has been vetted for expertise, experience, and the quality of their insight. That’s a pedigree worth exploring. No illusions here: when it comes to seeking professional advices on marketing your book, you’ll have to spend some money. Remember how I spoke about your book as an investment? So too any money you spend on marketing is the same. The only difference is, exchanging money to save yourself the time and energy and frustration of sorting out all the details on your own is what we might call a “fair market value.” It’s worth it, in other words, to see your book’s future set on a solid foundation and to use your time far more effectively in writing the next book. Welcome back to Wednesdays on Self Publishing Advisor, where we tackle the intricacies of marketing each and every week in the hopes of making your life as an indie, hybrid, or self-publishing author just a little bit easier. This is actually the third post in a series examining marketing B.A.S.I.C.S.––yes, that’s an acronym! but more on that later––with a particular emphasis on marketing for new or first-time authors. It all began two weeks ago with this introductory post, and continued last week with an in-depth look at the “B” in B.A.S.I.C.S. : “Building an Online Presence.” This week, we’re ready for a new letter and a new sub-topic. What does the letter “A” stand for, then? Simple: “Ascertaining Your Ideal Reader.” This is one of the most important and foundational of steps to crafting a successful marketing strategy. What is this “Ideal Reader” business?? Your ideal reader is not simply the person who buys your book; he or she is the person who falls in love with the world your book creates and actively looks for ways to participate in that world, whether by following you (the author) on social media or sharing your book with others. They’re not invested solely out of obligation––which is to say, they’re most likely not members of your immediate family or friend circle. As wonderful as your existing network of relationships is, and as useful as your friends and family can be––as cheerleaders and amplifiers in your marketing campaign––they first fell in love with you and not your book, and that is always going to be a complicated tightrope to walk. Your ideal reader, on the other hand, is a fan; but more than this, he or she is engaged with your book outside of the text as defined by letters inked on a page or pixels shadowing a screen. Your ideal reader will slide your book into a back pocket while walking the dog or slip it into the diaper bag when taking the kids to story hour at the library; she’ll talk about it over the headset while duking it out with her friends on the Xbox or he’ll pass his dog-eared battered copy on to a friend or someone will drop it reluctantly by a Little Free Library––not giving it up because they didn’t have a use for it anymore, but rather giving it up because they’re fairly certain someone else might need it very much indeed. These people are your mediators, your access, and your ambassadors to the world. What does an ideal reader have to do with marketing, anyway? As with any product, your book needs someone to buy it. You can try to move copies by being absurdly wealthy and getting your superPAC to buy and then distribute thousands of volumes to local libraries in the vague hope that people will discover it while browsing and magically translate that discovery into a sudden impulse to buy more copies and distribute them to friends and family––but I’d be lying if I told you this is a time-honored or even remotely effective strategy. Time and again, authors who meet their own personal benchmarks for “success” (and the word means something different to everyone) point to these sudden spikes or “strategic bulk” purchases as unethical, while grassroots support from middle or low-income readers who actually love your book enough to buy it despite limited resources tends to lead to long-term sustainable sales. It goes without saying that people who have a personal, political, or financial stake in promoting your book are useful … but they can also unintentionally sabotage your success if they make your book about themselves, or about anything other than untrammeled storytelling. And in order to find your grassroots supporters, you have to know where they live (so to speak), and the language they use (literally but also figuratively) to share what they love. How do I track down my ideal reader, then? Your ideal reader, if you’re an author of nonfiction, can be identified according to what problem he or she is trying to solve––whether that problem is the reader’s dependency on sugar for energy (a dietary self-help book, perhaps) or the upcoming dinner he’s throwing for the in-laws (a Mediterranean cookbook, perhaps) or her desire to fill a gap in her understanding (of particle physics, or a history of bipartisan politics in America, or the internal hierarchy of multinational corporations). If you’re an author of fiction, your ideal reader is defined as someone who, when looking for new material to read, is drawn to the type of content or genre or characterization or form which you like to write––in other words, your ideal reader is someone whose tastes in consumption corresponds directly with your tastes in production. There are many other people who might read your book and enjoy it or benefit from it, but they are baptized into the fold rather than the founders of it. Now, your book many bend genre traditions. It may be so utterly innovative that the usual metrics of comparison––genre, plotting, etc––break down entirely. And that’s entirely wonderful, even if it makes identifying your ideal reader just a touch more difficult. If this is the case for you, instead of trying to jam your book into the confines of a neat description, ask yourself: What do I like to read? What works of art and music and film move me? Where do I like to go to discover new reading material? These make for the simplest and most effective path to finding your readers. Once you find your ideal reader, what next? Well, you make it worth their while to buy your book. And that’s where next week’s blog post comes in. Make sure to check back here next Wednesday! There’s so much more to come. As I mentioned in last week’s post, I’m taking Wednesdays back to the B.A.S.I.C.S. of marketing for your self-published book. And step one of every really effective marketing strategy in the silicon age requires us to tackle the “B” in B.A.S.I.C.S. : Building an Online Presence. Given that you’re reading this blog post on the web, I’m going to assume you have already been initiated into the manifold wonders of the internet age, but I’m also going to assume that you’re starting your latest book marketing campaign from the ground up––which is to say, you’re looking to begin with that all-important keystone of any such strategy: motivation. I’m not going to lie: marketing your self-published book is hard. Really hard. It will requires a lot of time, energy, and trust––trust in yourself and your own capacity to make wise choices that fit your own project. Without this trust, authors risk losing focus as they get sucked into a whirlpool of self-doubt and second-guessing. I recommend skipping this arduous process entirely by embracing your own insight and the sometimes radical notion that you really can make good choices. I know that you can, and I’m a perfect stranger! Just think: you may be fixating at present on some of your own limitations, but you also have a front-row seat to your personal portfolio of strengths and skills! Let’s put them to work in marketing. The real reason to begin your book marketing campaign with a strong web presence is the simple fact that a comprehensive bundle of platforms––such as an author website, a blog site, as well as accounts on Facebook, Goodreads, Twitter, and even Instagram or Snapchat––is both an effective and inexpensive way to reach new readers. We’ve written about many of these platforms before here on Self Publishing Advisor, in last year’s Social Media Primer and as far back as 2013 with Wendy’s discourse on improving blogs, but the fact remains that authors are presented with something of a moving target. New platforms are becoming available all of the time, while less popular ones or ones that have outlived their usefulness are archived or excised from the web altogether. This is why I used the key phrase “comprehensive bundle of platforms” above: to indicate that an effective presence requires a flexible, adaptable set of options––and above all, the freedom to experiment with emerging technologies as well as the courage to abandon unhelpful ones. My own recent experiences with Twitter and Snapchat make for a good illustration; I’ve found a healthy and important niche for my Twitter use in broadcasting updates and news about my current work and upcoming publications, but I haven’t quite found a marketable use for Snapchat. I tried, enjoyed it for a spell, and could even see quite a lot of potential there … but I could never quite invest in it the creative energy required to make it a success. So I shut my account down in order to spend that time more effectively on platforms that better fit with my personality and web usage. Your websites and blogs should be streamlined and easy to navigate; they must both catch a visitor’s eye and capture a visitor’s interest in regards to content, as well as make it easy for even the most unfamiliar of visitors to learn about and buy your book. In building your websites, you can choose from among a whole host of free services, including WordPress (which is what we use), or Blogspot, or Tumblr, but whatever route you take you ought to consider purchasing your own domain name. Make it something intuitive and easy to remember; many authors choose to use either their pen-names or the titles of their books as domain name inspiration. Consistency is key. Whether we’re talking about blog posts or social media updates, creating a sense of routine and reliability is important. It both makes you more findable (especially if you integrate the tricks of SEO or Search Engine Optimization into your postings) and more trustworthy. You might even work up a schedule of what sorts of materials to post on which days of the week, as we do here at Self Publishing Advisor. You know from following this blog in the past that every Monday we run through the major self-publishing related news items of the week, and every Saturday we run a book review compendium of a self-published book. Because you know this, you already know that a) you can trust us to post new material on a regular basis, and b) which days of the week you’re most interested in spending some quality time on our website. So that’s the “B” in B.A.S.I.C.S. … or at least, that’s a place to start! There’s so much more to come. Over the last couple of months, I’ve used this Wednesday blog slot to talk about a lot of different things. Many of them have been marketing related, and many of them have been inspired by topics that self-publishing authors may find useful before the marketing process begins––for example, my series on e-readers––but I’d like to step back, if you will join me, and refocus on what has traditionally made Wednesdays on Self-Publishing Advisor unique. I’d like to take us back to the basics of marketing for self-publishing authors. Where does an author new to self-publishing get started? How might an experienced indie author re-infuse a lackluster marketing campaign with new energy and more effective strategies for self-promotion? This is the heart and soul, the real meat, of what I want to get at here. What topics would you like me to cover here? Where do you turn for advice and resources for self-promotion? My first instinct is, of course, to launch us back into this subject with a defense of marketing for self-publishing authors, but … let’s face it: we’re already here. We’re already convinced that we need to sell our books, and we’re already fully aware that the heavy lifting falls on us as authors to make that happen. What’s useful––what’s really useful––is information on how to make marketing better, or more effective. Easier. We want, and need, the tips and tricks of the trade, without having to waste time on trial and error in a world (and a market) that waits for no man or woman. And no, there’s never going to be a day when publishing and selling a book is as easy as clicking a button and sending it into the aether––for indie authors as well as traditionally-published authors––despite what all of the corporate jingles and advertisements would have us believe. There’s never going to be a day where we don’t have to pay for publication, whether we’re talking about sacrificing years of our time before release as well as our rights and royalties (as with traditional publishing), or whether we’re talking about sacrificing years of our time and energy after release to marketing and self-promotion (as with self-publishing), or whether we’re talking about sacrificing money to skip the lines but retain the professional marketing campaign (as with hybrid publishing). There’s always a cost … but the payoff is worth it. We have to remember that. You have to remember the fact that there’s a book inside of you that needs to be read, that could indeed change someone’s life. And it will change your life, too, to know that your book is out there in the world and exists in a universe outside of your own mind. And that book is worth reading. It’s worth buying. The trick is in getting the word out there. The trick is to raise awareness. And that is exactly what I’m going to help you do in the coming weeks as we dive back into the deep end of the Marketing Maelstrom that is … your life as a newly minted self-published author! I started off this series by examining the Kindle, and then the NOOK, and then the Samsung Galaxy Tab. This week, I’m going to take a (quick) look at the whole suite of Apple products that have by and large eroded any hold the dedicated e-reader held over the general reading public. I’m talking about the computers you carry around in your pockets and backpacks, the mobile forward operating bases and command centers of your life, the little devices that have had a big impact on how we interpret our lives and arrange our days: the iPhone and the iPad. Apple manufactures laptops, too, though making room for more traditional computers in this conversation might lengthen it to a mere century or two in length. You might say that I could “talk for hours” about the changing role of the home or personal computer in everyday life. I’m just going to allude to the fact that you can use an Apple Air or its predecessors to read e-books, using the same apps you might use on your mobile device. It’s possible. It’s just that a laptop tends to not be the preferred device for most consumers who own more than one kind of Apple device. And there are a lot of people who own multiple Apple devices. In 2012, USA Today reported that roughly half of American households had at least one Apple product. And the numbers didn’t end there; the article also stated that: “Americans don’t stop with just one device. Homes that own least one Apple, own an average of three. Overall, the average household has 1.6 Apple devices, with almost one-quarter planning to buy at least one more in the next year.” And that was in 2012! And when it comes to the iPad specifically, there’s even more reason to be hopeful: according to a report from the Stamford Advocate (drawing upon a longer piece for the Business Insider) that’s so hot off the press it might smudge if you even look at it, Apple Inc just reported its quarterly earnings and the outlook for iPads remains good, despite a slight decline in total global tablet sales. The Stamford Advocate’s Jay Yarow records Apple’s CEO Tim Cook as saying: “70% of people planning to buy a tablet plan to buy an iPad, per [a] ChangeWave survey.” Seventy percent! And that’s on top of the 200+ million units sold prior to 2014. So, in summary … there are a lot of iPads out there, and there will be plenty more, as Apple continues to dominate the tablet market. But what does this mean for you as an indie, hybrid, or self-publishing author? 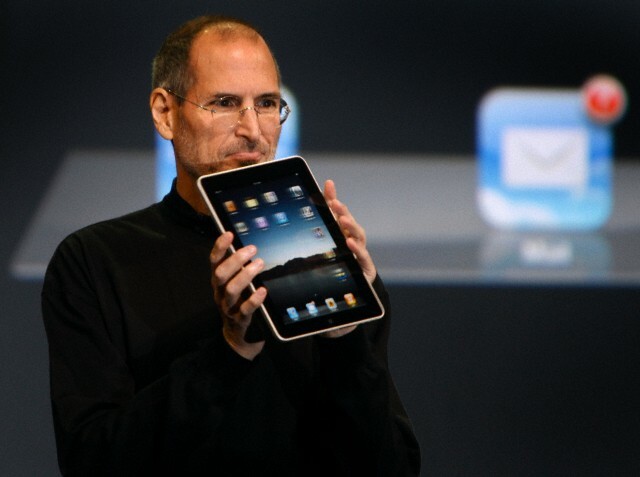 Do people really use iPads the way they would use dedicated e-readers like Kindles and NOOKs? As illustrated by this article for PC Magazine, the matter of what constitutes a dedicated e-reader and how it’s different from a tablet like the iPad has grown steadily more confusing. Everyone more or less admits that they like the look and feel of the dedicated devices (which eschew backlighting, making for a more comfortable experience) but they are more likely to purchase a tablet like the iPad because of its versatility. An iPad can simply do more, the general opinion runs, even though many devices like the new Kindle have a whole suite of apps a la tablet, and many tablets (including the iPad) have Kindle apps to sync a person’s reading experience via the Cloud. … and it’s worth noting, before even discussing the pros and cons of each app, that all of these apps are downloadable for free through the App Store, even if the content for them must be subscribed to, purchased, or loaned (in the case of both Bluefire and the Overdrive Media Console app, which are favorites of many public libraries which offer downloadable ebooks in addition to their physical lending collections). Books with half a century under their belts are (for the most part) available under Public Domain, and many of these classics are available for free in a variety of formats. Now, don’t get me wrong, but even while all of this is great news for readers, it doesn’t necessarily make for light work for you, the indie author. Why? Because, with so many reading app options easily available on the iPad, the chances of readers discovering your work diminishes with every app your book is not available through. Not to mention, you probably want to make a profit, so a library’s free ebook loaning system doesn’t benefit your bottom line at all––unless readers run out of time and end up purchasing a copy in order to finish (which does, on occasion, happen). In summary, it’s a good idea to cover all of your bases and not just the “big three” of ebook sales (Amazon, Apple, and B&N). Google Play has been on the uptick ever since its creation as the primary sales conduit to devices running Android operating systems, but now it’s emerging as a contender for iPad owners as well, after the development of an attractive and intuitive app for iPads. 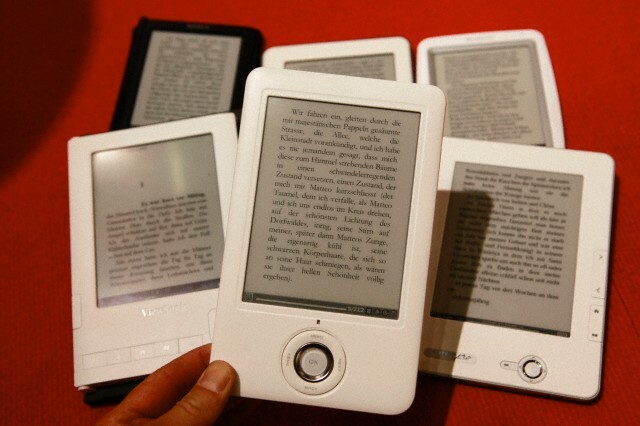 The Kobo Books app and the Adobe Reader app should also be kept in mind––many readers enjoy the streamlined experience of opening .PDF files with the Adobe Reader app, so you should not rule out offering a .PDF download of your book through some online retailer or your own personal website. Basically, the more places a reader is likely to see your book, coupled with more ways and editions and formats in which it can be downloaded, the more likely that reader is to spend hard-earned currency on purchasing your book. Balancing expense (of time, energy, and money) against discoverability is, perhaps, one of the trickiest of self-marketing arts that you must master––but you’re not alone. We’re here to help, and to be a sounding board for your own strategic plan! We’ve crossed the Rubicon, dear readers. There’s no going back, when it comes to the print vs. digital divide, at least if we’re speaking on the commercial level. There are quite substantial numbers of readers who are introduced to books via their smartphones and computer screens and then move into the musty world of mahogany bookshelves and neighborhood used-book stores … but these numbers represent not so much a desertion of one form for another, but rather the natural progression of addicts who will simply, and always, want more–more good words strung together, more stories in their hands, more eyes to peer through and lives to live in the way that only literature makes possible. I’m here to speak about e-books and e-readers this week and in the weeks to come. We’ve just finished a tour-de-force marathon of social media platforms spanning several months, so it’s time for a bit of a change of pace … but without sacrificing our desire to examine trends and patterns and possibilities with the fine eye of a book connoisseur. The data is in, and readers have spoken. 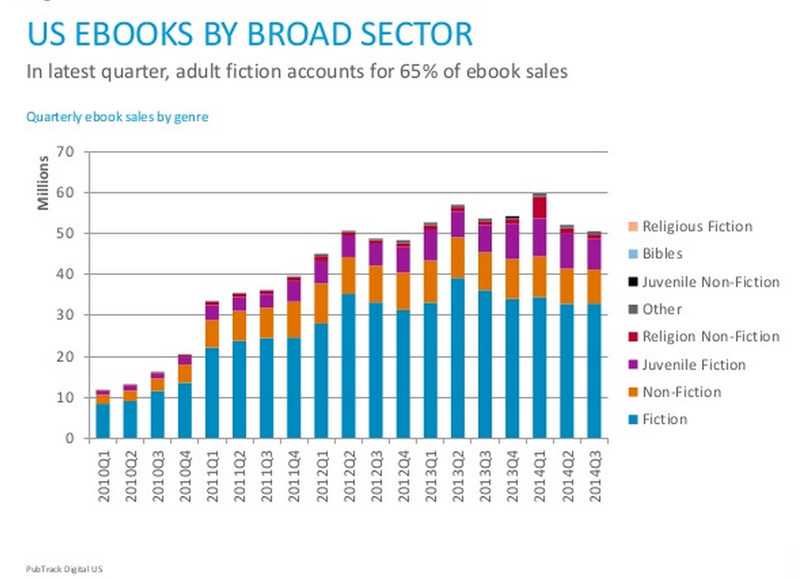 As this infographic (courtesy of Publishing Technology and Nielson BookScan) shows, e-book sales dropped slightly from an all-time high in early 2014, but they’re not going anywhere fast. (I should also note that the initial speculations for this year seem to indicate continued stability.) The digital market has matured, and readers are simply spreading their pocket change around, and being more selective as they do so. Essentially, it’s not just “still” useful to publish your books in digital form, but it’s actually more useful than ever–readers now know how to find what they like, as the information infrastructure–including indexing search engines like Google and Bing, and social media platforms with a literary bent like Goodreads–has matured alongside the market itself. But how does an author, especially an indie, hybrid, or self-published author, go about figuring out how to navigate both the debate and the process? Well, first, you have to know a little bit about e-books and e-readers themselves. And so we dive off into the deep end of a new series. This time I’m going to walk you through the process by examining each big player in the e-reading market (past and present and future, at least so far as I can see it), from Kindles to Nooks to iPads to chips implanted into your brain. Okay, okay, I’m kidding about that last one … for now. In all seriousness, I hope that this series will be of use to you as you take next steps into the oft-hazy world of digital publication!